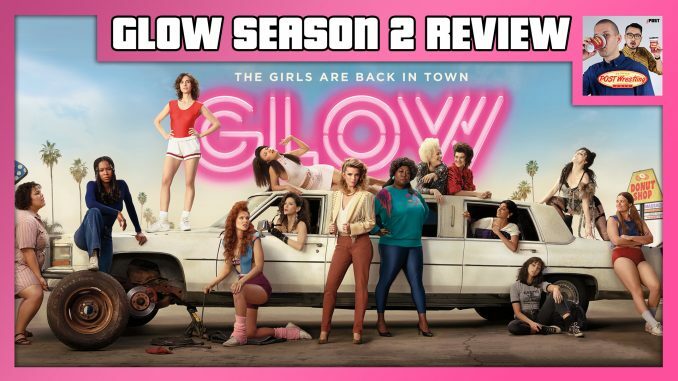 Wai Ting and John Pollock provide an extensive review of the second season of the “Emmy nominated” series GLOW. We go through the many character changes throughout the season, the continuation of Debbie and Ruth’s problems, Ruth’s relationship with Sam, the show’s handling of the #MeToo movement, addressing the negative stereotypes presented by the Welfare Queen character, “The Good Twin” episode, the best scenes of the season, the characters that came out more developed and what was set up for a potential third season. Plus, we take lots of your feedback and questions from the POST Wrestling Forum.